It is very hard for me to do a favorites post because I practically use the same things every month and if I use something new, I don't even notice. 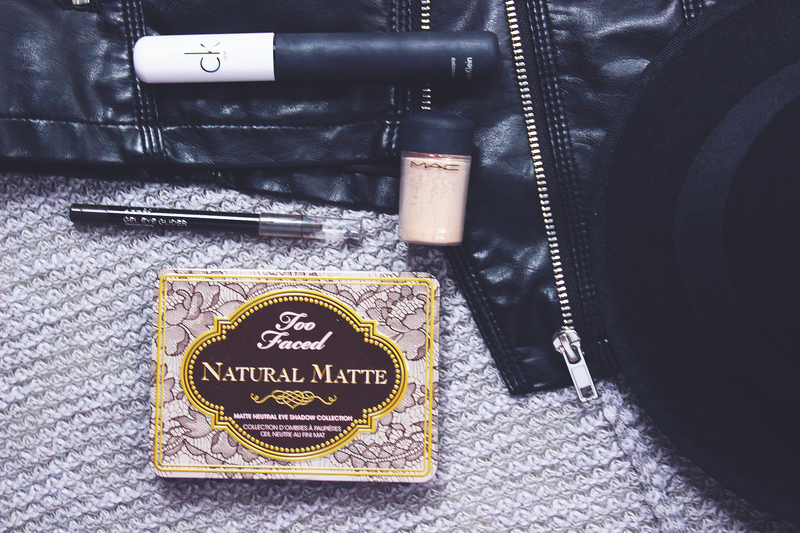 However, since reading all the 2015 Beauty Favorites, it really had me thinking what I really liked this past 2015. My most expensive range of products I have are skincare products and base products. Many of you may not know this, but I HATE PRIMERS! I could never find one that was inexpensive and primed my face without peeling off or drying my skin. For 2015, I really enjoyed the Glossier Priming Moisturizer because it really helped for a moisturized and smooth base for foundation. 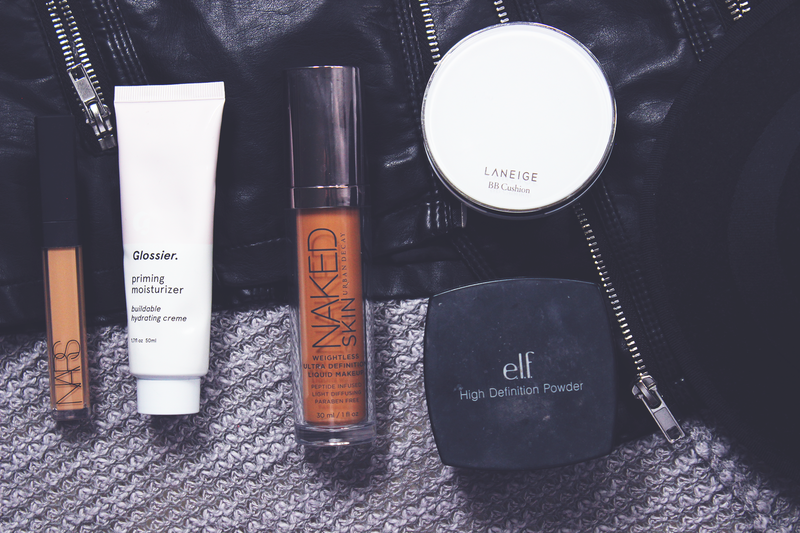 My foundation of choice is the UD Naked Skin Foundation (post here). It has airbrush makeup properties giving it the ability to give a thin, natural finish for a medium to full coverage look. Another mention is the Laneige BB Cushion (post here) in medium. This was my choice of base every time I decided to wear makeup untill I tanned late in the summer. It is moisturizes my skin without looking overly oily and it has a natural, yet glowing finish ideal for summer. 2015 is the year I officaially started my countouring and highlighting journey. I kept it really basic for bronzer, I chose the Rimmel London Natural Bronzer in Sun Bronze which delivers a pigmented matte finish. 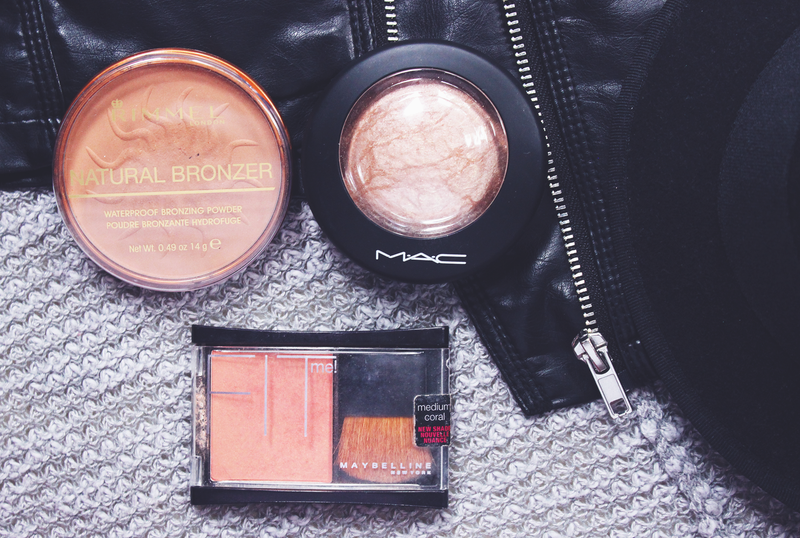 I went a little crazy for the highlighter and picked out the ever-so popular Mac Mineralized Skinfinish Natural in in Soft & Gentle. Finally, the Maybelline FitMe Blush in Medium Coral is the only blush I use, which is either sad or means it works very well. 2015 was the year that I skipped the winged eyeliner. Okay... maybe I did it once in awhile, but I most the time it was only the Julep Gel Eye Glider in Rich Brown to tight line. It glided smoothly onto my tight line making my lashes look much thicker. For mascara, I really enjoyed my CK One Click (post here) because it lengthens and thickens my lashes without clumping or giving the spider leg effect. For eyeshows, I had to mention my MAC Pigment in Naked. It is beautiful! It has a natural finish with some sparkle or subtle shimmer depending how much you apply. Finally, I wanted to step back from the Naked Palette and try something new. I really liked the Too Faced Natural Matte Palette for the very natural look and variety of shades helped me find my perfect brown smokey eye. I wanted to finish with my favorite brush and some skincare favorites. My favorite brush has to be the MAC 129 brush for contouring, it is a narrow brush, but it is that perfect because it is right in the middle of density and fluffiness to deliver a blended out look. For finishing spray I really enjoyed my Mac Fix+ (post here) because it really helped my makeup blend into my face making it look natural (if you know what I mean). 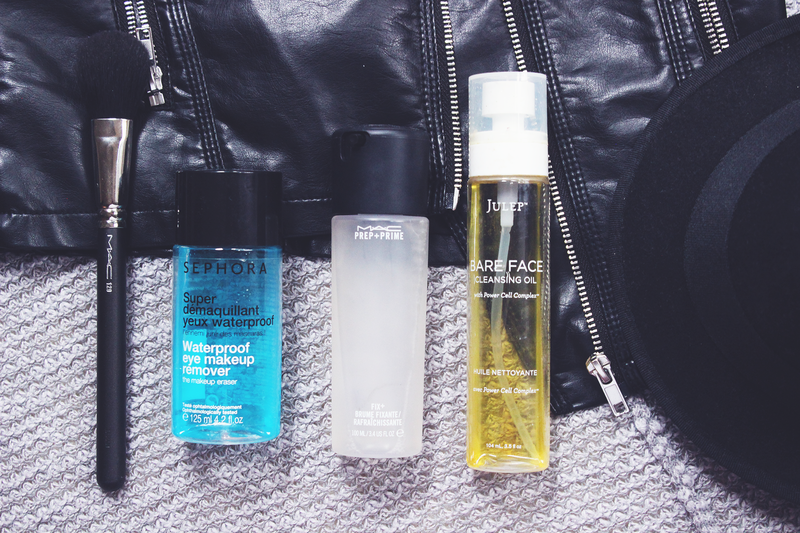 For the past few years, I had been using the Sephora Super Waterproof Eye Makeup Remover. How I use it: I put some a cotton pad and leave it on my eyes for ten seconds. It helps to break down the eye makeup, but it is very light like water. Then last, but not least, I LOVE the Julep Bare Face Cleansing Oil. I really like removing my makeup with oils and then following with a cleansers. It is so much easier and efficient than wipes or liquids with cotton pads. I like this one because it melts away my makeup effortlessly. I hope you enjoyed this post! 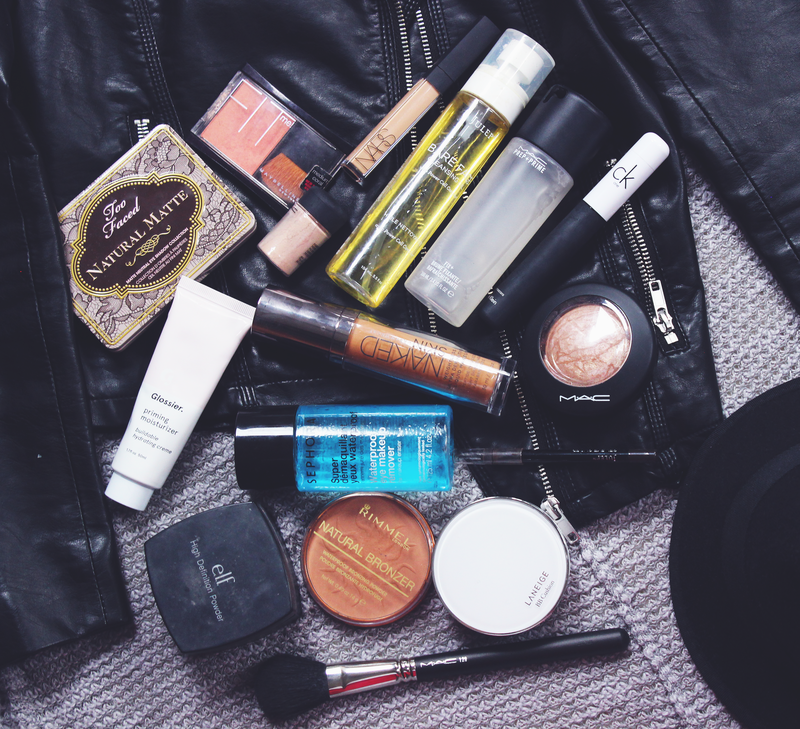 If you have any 2015 Beauty Favorites, let me know in the comments below.